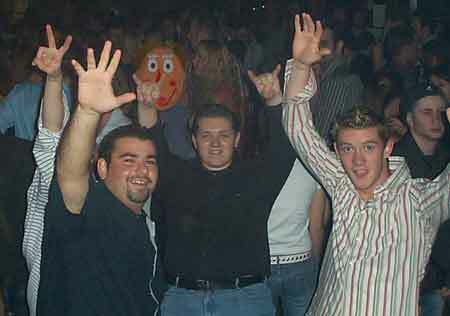 THIS SATURDAY NIGHT............................YOUR DISCO NEEDS YOU! If you live in Sydney, be there, the last one held around Christmas was very good, the only let down was the venue, and judging by the photoes this one should be much better! WoooooooooooHoooooooooo! bump - be there! its gonna be a great night. And just to jeer yourself up download the song 'your disco needs you' by Kylie Minogue. This was a dud (for several reasons), good thing I was drunk or it could have been worse. 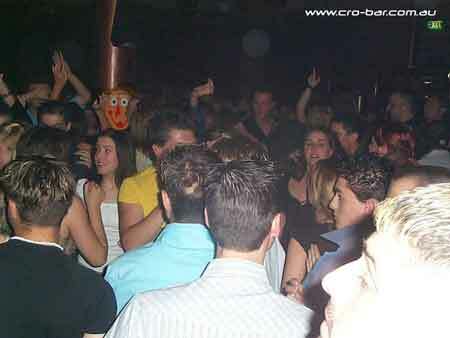 LOL - Wheres Wally at the Armenian Dance Party? Edited by Accelerated, 21 May 2003 - 10:20 PM. dude, how come there are no chicks next to you in any of these pics? Are you a computer geek or something? i wanna know is he the hairy one or the skinny one? LOL - Sip, I feel like I have been exposed! Interests:Geerks, films, music, geragoor, and fluffy gentanees. Lotus, do you see anyone there you might recognize from school maybe? Edited by Sip, 16 March 2005 - 08:39 PM. Sip, are you going to explain or what?